Today has been the first record hunting opportunity in months now that soccer, tennis and gymnastic practice has come to an end. It felt good to get out and smell the musty, dusty flea markets and antique shops. 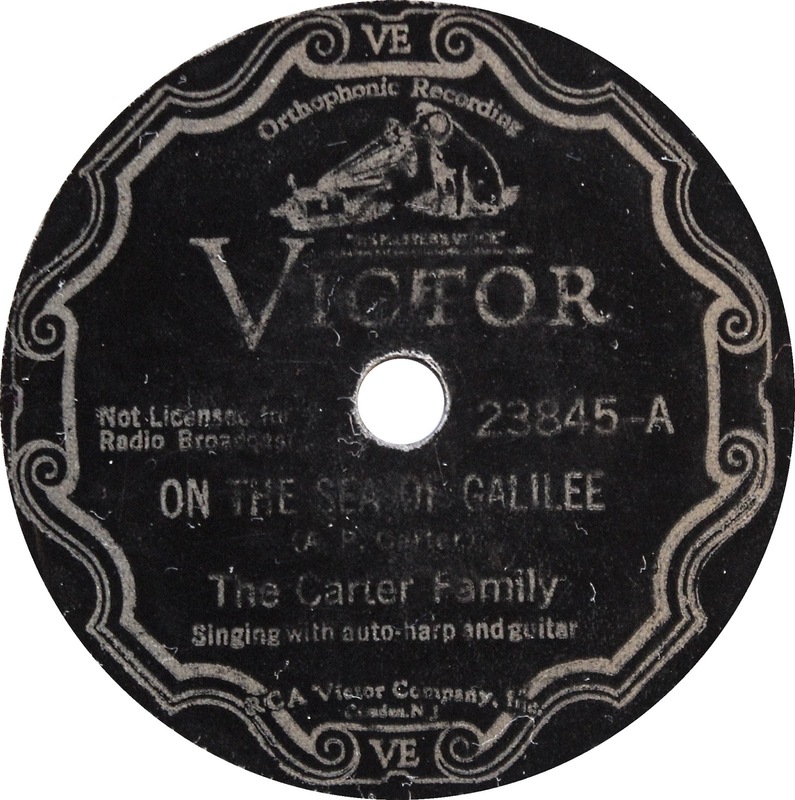 Came away with this one, which appears to be The Carter Family's last recordings on the Victor 23000 series. 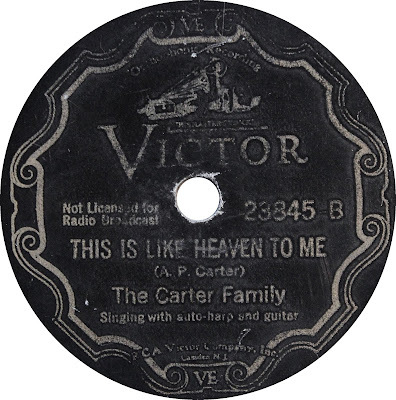 A. P. Carter bass vocal / Maybelle Carter soprano vocal, g / Sara Carter alto vocal, g.
Recorded at the Church Building Studio 2 in Camden, NJ on June 17, 1933.